While guns can be a great tool for hunting and protection, it is essential for the owner to treat their firearm with respect. If you own a firearm, you should be keeping up with gun safety, keeping it out of reach of those who are not certified, and keeping it clean. The importance of regular gun cleaning cannot be stressed enough. So why is gun cleaning important and how can you clean your gun correctly? Let’s dive in. Like any possession that you want to keep around for the long haul, a gun should also be cleaned often to maintain its longevity. 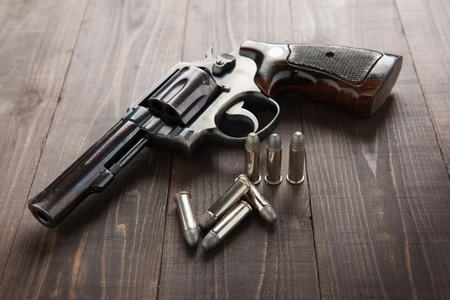 If treated and cleaned properly, your gun can easily last several decades and work well any time you decide to use it. You can hand your gun down from generation to generation with simple and routine cleaning, oiling, and storage. You may not realize it, but there are many different substances that can make it inside of your gun which can make it easily malfunction. Salt from your hands can easily make it into the interworking parts of the gun and corrode the metal components. You also have the chance to see a buildup of gunpowder residue that could impact the accuracy of the weapon. More than just keeping it clean, proper gun management will ensure that your firearm works properly when you need it the most. If you are hunting, you don’t want a dirty gun to spoil the perfect target. If you are using it for self-defense, the last thing you need is a malfunction that puts you or your family in danger. Not only will cleaning your gun keep it in good shape but taking it apart will also help a novice understand more about how the firearm works. The more you know about the gun, the more you will appreciate its power. Proper cleaning will help you to see how the parts interact with each other. This is especially beneficial if you have multiple guns of different styles. The importance of a clean gun cannot be overstated. Let Clark Snyder at Clark Craft Gunsmithing LLC, a licensed gunsmith, clean your firearm for you. I will completely disassemble the firearm, removing every pin, part and spring. I inspect them for wear or damage and reassemble it to test it for proper function. I have tools, cleaners, and solvents, to get even the dirtiest of guns gleaming like new with a thorough cleaning and lubrication.